You buy a really cool widget, take it out of the box, turn it on, and it starts to behave erratically. And reading the troubleshooting section of the documentation yields no solutions. Or, let’s say the widget operates flawlessly for a week beyond the expiration of the warranty. Great! Now what? you say to yourself. Do you call the reseller or manufacturer and complain, hoping that they offer to replace it, free of charge? Or worse, you suddenly recall declining the extended warranty that the salesperson offered. Your options are limited: you could further damage it trying to fix the problem yourself, or you frantically call tech support and scream at the innocent technician who can’t remedy the issue, all the while loathing your decision to purchase the widget. Thankfully, although the era of “The customer is always right” has largely fallen out of favor, there exist many companies that will work through the predicament to ensure the best experience and resolution for their customers. As many can attest, General Digital is one of those companies. Most General Digital products are covered by a one-year warranty from the date of shipment. In some instances, we may be able to fix a problem by consultation through e-mail or a phone call. If not, the customer will need an RMA number to ship the product back to General Digital’s facility. Either way—and this is important—an accurate failure description and serial number are of great importance in expediting your repair. If you do ship the unit to us, upon incoming inspection and diagnosis of product for repair, we quickly generate a Failure Analysis Report to send to the customer. Once approved, the product is put into the queue for repair. While we go to great lengths to accommodate our customer’s needs, we cannot honor a warranty repair for product that was clearly subjected to accidental damage, negligence, abuse or use in conditions for which it was not intended. We also ask that the product be sent back in its original packaging, even if the product is damaged. Note that we can ship you a new package for safe transport, if needed. Our shipping materials have been specially designed to ensure the least amount of damage by rushed and careless delivery company personnel. Though not everything goes as planned, you can always count on General Digital to help you out during the best and worst of times. 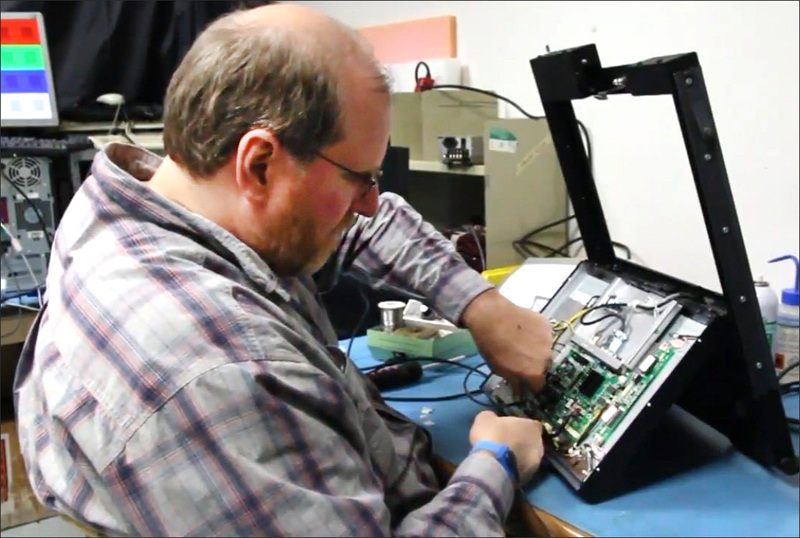 Watch the video below and learn more about returning product for repair to General Digital on our Web site.